Should You Test Your Well? Editor’s Note: The article below is adapted from a 2013 Water Technology article by Jake Mastroianni. — Hardly Waite. There are many things in life that are taken for granted, the quality of one’s drinking water should not be on that list. Well water testing, is a great way to get that sense of clarity about one’s water. There are several different suggestions for when you should test, who should do the testing, why you should test, where you should test and what type of treatment to use if the testing comes back with negative results. The correct time sequence for testing varies based on different testing equipment, the type of well and location. The Environmental Protection Agency says private well owners should have their water tested at least once a year. Obviously, if there is a noticeable difference in a customer’s water supply, it would be a good time to have a water test performed. There are also precautions when installing new wells. Marianne Metzger, business manager for National Testing Laboratories Ltd., also offers some advice on new and inactive wells. “For new wells, or wells that have sat inactive for many years, a comprehensive test should be considered to document the water quality. In addition to the typical analysis of bacteria and nitrate, new wells should be tested for volatile organic chemicals, pesticides and herbicides, heavy metals and radiological levels. Having a comprehensive test done can alert you to problems as well as provide a baseline of water quality for that well in which to compare future results,” she says. While many tests can be performed by the well water owner, tests should be performed by a competent professional when looking for contaminants that could cause health issues. “Testing for health based contaminants like bacteria, nitrates and arsenic should be done by a certified laboratory,” adds Metzger. “Simple aesthetic contaminants like hardness and iron can be tested on-site by a water treatment professional or with a do-it-yourself home kit.” Metzger emphasizes the fact that having a professional, or even laboratory, perform a complete analysis is the best way to get the most accurate results. “Some local health departments do testing or can recommend either certified local or regional companies to perform the testing,” says Gloyd. After testing is complete, Gloyd adds that the homeowner or local water treatment company should be able to monitor the water quality. There are several contaminants that can unknowingly enter the water supply and cause health issues. Bacteria is one of the most common problems found in wells, coming up in 40 percent of private wells tested, according to Metzger. If you have replaced any part of the well. At a minimum check pH, iron and total Coliform bacteria. If the well is in a rural or agricultural area it is a good idea to check for nitrate, nitrite, arsenic and perhaps pesticides. If you notice a significant change in water quality like color, taste or odor. Flooding, earthquakes and fuel spills in your area could disrupt well water. Probably we should add nearby oilfield activity, either drilling or fracking, to the list. 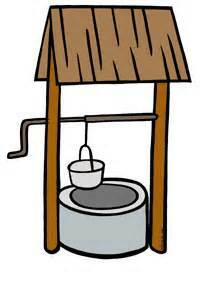 The location of a well can play a huge factor in determining the type of testing that should be conducted. In different parts of the country some contaminants may be more prevalent than others. “The most common problems in wells that require treatment include bacteria, pH, manganese, iron and nitrates,” says Gloyd. Gloyd adds that testing can vary and he recommends asking a local water treatment professional for the best treatment solutions. More permanent forms of disinfection for water wells include ultraviolet light or a continuous chlorine feed. More about getting your water tested.